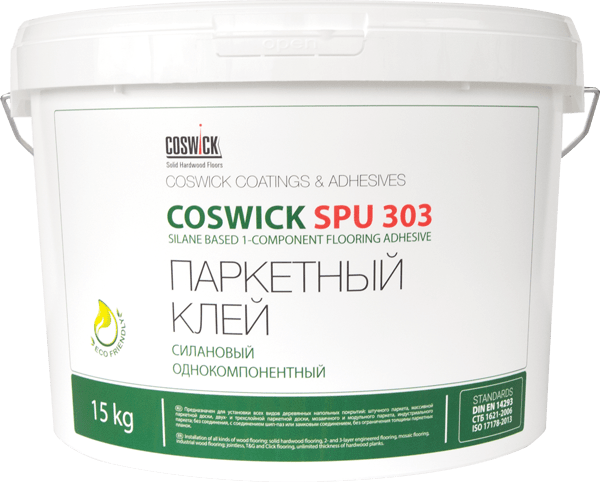 Coswick SPU 303. Elastic 1-component silane-based adhesive for hardwood floors. 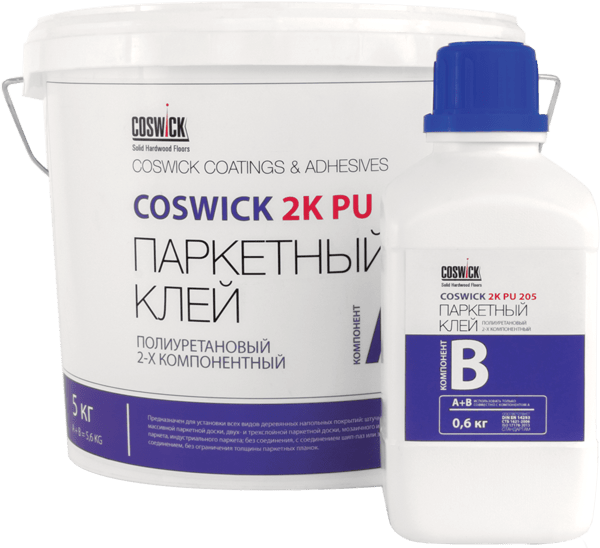 Coswick 2K PU 205. Elastic solvent-based 2-component PU adhesive for hardwood floors. The main feature of this adhesive is the reduced consumption. It helps to save your money with the adhesive being at the same time reliable, durable, elastic and easy-to-use. What is more important any adhesive remnants on the flooring face can be easily removed by a cloth napkin. The adhesive is eco-safe. Reliable adhesive for dedicated and skillful professionals. It is the most cross-functional adhesive with increased adhesion and thixotropic characteristics. This adhesive creates a rigid and, at the same time, elastic adhesive joint which is resistant to heavy load. 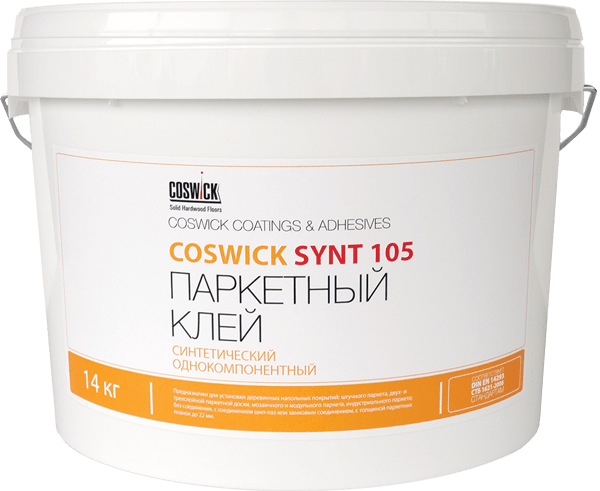 The adhesive is eco-safe after mixing the components. Solvent-based adhesive provides the reliable joint at the lowest cost. While working, you need personal protective equipment, but, after the evaporation of the solvent there will be no foreign smells. The adhesive is cross-functional, with good adhesion characteristics, and creates a rigid joint. However, it is not recommended to use while installing the hardwood flooring on the heated floor of while installing the oversized solid flooring.